Hypercube is a projection of a four-dimensional object which cannot be fully realised in three-dimensional space. By executing the hypercube in the style of Sol Lewitt’s open cubes I hoped to engage with his ideas about conceptual art and interrogate the primacy of conceptual thinking in art making. Four-dimensional space has been studied by mathematicians and philosophers for over two centuries and yet our attempts to accurately visualise or represent the fourth-dimension in Euclidian space remain ultimately frustrated. The use of geometry in my work relates to the philosophy of Pythagoras, the Greek philosopher and mathematician, who founded a religious movement espousing the belief that God created the universe after geometric and harmonic principles and thus to seek these principles was to seek and worship God. In the same way that Modernist painters, such as Malevich, Mondrian and Kandinsky, used geometric abstraction as a way of representing the divine through art, I am attempting to point to another reality by evoking the elusive fourth-dimension. I have been invited to present my performance piece Prima Materia as part of the Hungry for Art Festival in Ryde. The performance will take place at Top Ryde City on Saturday, August 24 from 11am – 3pm. Tom Isaacs is a local performance artist and sculptor. His practice is an exploration of art and spirituality. Tom’s performance art piece Prima Materia offers an alternative to the traditional creation of an image as he uses a dripping paint technique without brushes. He is inspired by abstract painters such as Jackson Pollock and Yves Klein. The opening is on Thursday, March 29 (from 6 – 8 pm) and the show runs until April 29th. 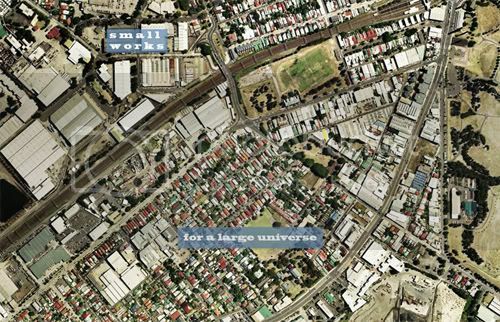 The address is Level 1, 175 Marrickville Rd, Marrickville. I’d love for you to come along and check it out. The use and study of sacred geometry in art and architecture dates back to ancient times and can be seen in ancient Mesoamerican, Egyptian, Greek and Roman civilisations. The Greek philosopher and mathematician Pythagoras founded a religious movement espousing the belief that God created the universe after geometric and harmonic principles and thus to seek these principles was to seek and worship God. Modernist painters, such as Malevich, Mondrian and Kandinsky, used geometric abstraction as a way of representing the divine through art. Malevich explained that by avoiding representation of nature, which is simply a manifestation of the divine, abstract art was able to become a “pure manifestation of the universal force” in its own right. Alchemy is a philosophic tradition whose best known goal is the transmutation of base metals into gold. However, esoteric and hermetic interpretations of alchemy claim that this exoteric understanding of transmutation is actually a metaphor for personal transformation and purification, also known as ‘internal’ alchemy. Through this series Isaacs is proposing a similar reinterpretation of the exoteric practice of art making. Inspired by Joseph Beuys, the proto-typical artist-alchemist, and Alex Grey, author of ‘The Mission of Art’, Isaacs aims to promote and embody the dual-office of artist-as-alchemist and to argue for the role of spirituality in the creation and experiencing of art. The opening is on Saturday, September 10 (from 2 – 4pm) and the show runs until September 24th. The address is 60 Hutchinson St, St. Peters. We’d love for you to come along and check it out. EX VOTO is a Mexican folk tradition of laying hand crafted objects of veneration at the shrine of local saints who are believed to have helped the maker in some way. In this instance it is an occasion for artists to testify to the gifts that St. Joseph has bequeathed to us, especially in the form of ideas and influence. If Joseph Beuys has ever touched your life or your artistic practice in any way, this is the opportunity to express your gratitude. A number of different cultures have all drawn a link between the breath and the soul. The Greek word ‘psyche’, the Latin ‘spiritus’ and the Hebrew ‘ruach’ all share the meanings of breath, life and soul. In the book of Genesis it is the Ruach of God which is breathed into the first man, giving him life. Much later, the prophet Ezekiel witnessed the Ruach of God animating the bones of the dead, restoring them to new life. This Ruach is literally the breath of life. But the Ruach of God is also called the Holy Spirit which imparts new life to the spiritually dead, transforming them. This performance is a documentation of my own ruach. For three days in the Articulate gallery I practiced ‘mindfulness of breathing’ meditation while blowing up white balloons. My aim with this performance was to objectify the act of contemplation. By capturing each exhalation in a balloon I hoped to make visible the normally invisible and impermanent breath which is the focus of this form of meditation. Kazimir Malevich claimed that nature is the materialisation and manifestation of a greater divinity and that the role of the artist is not to re-present the existing manifestations of the divine, but to create one’s own pure manifestations. In a way, it could be said that performance art avoids the problem of representation by working directly with reality i.e. the divine nature manifest. I wanted to go further than this, however. I wanted to objectify my ruach as a manifestation of the divine. Malevich once claimed that “The field of colour must be annihilated, ie. It must transform itself into white.” This claim, along with his use of geometric forms, is echoed in my own use of white balloons. The Ruach of God gave me breath and life, but it also gave me my spirit. I was made in the image of God and, like Him, I have a spirit that is living and active. When his audience asked him for a miraculous sign Jesus offered them the sign of Jonah. “For as Jonah was three days and three nights in the belly of a huge fish, so the Son of Man will be three days and three nights in the heart of the earth.” (Matthew 12:39-40) Much later, Joseph Beuys gave the world his own sign when he spent three days in René Block Gallery with a wild coyote. 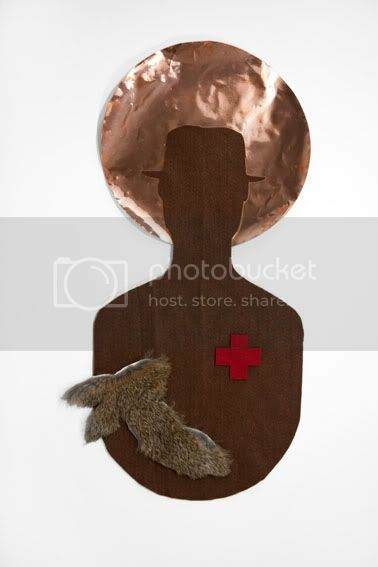 Jesus Christ and Joseph Beuys both offered healing through their intercessory acts, Jesus through his sacrifice on the cross and Joseph through his art. What efficacy my work may provide does not stretch to miraculous raising of the dead and I believe it functions most strongly as a sign. I do not say this to rob the work of any power; on the contrary, as an artist I believe wholeheartedly in the power of signs. The sign of Jonah was a profoundly important and powerful sign, because of what it pointed to. I was created by God in His image and His Ruach lives within me. 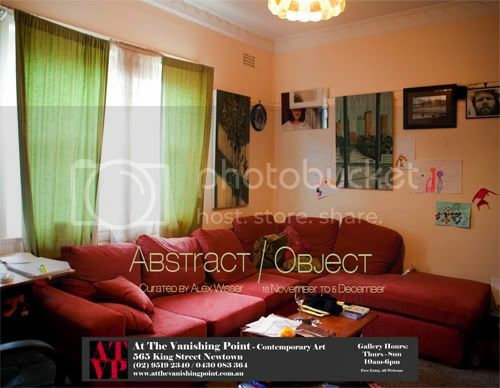 And for a time it was in the Articulate Project Space, 497 Parramatta Rd, Leichhardt. I have a work in a group show! The opening is on Friday, February 4 (from 6 – 8pm) at INDEX. The address is 60 Hutchin­son St, St. Peters. The show runs from 4 – 19 February, I’d love for you to come along and check it out. The opening is on Friday, February 4 (from 6 – 9pm) at At The Vanishing Point. The address is 565 King St, Newtown. The show runs from 4 – 20 February, I’d love for you to come along and check it out. “What measures are taken by curators to erect barriers between individual works so that an audience can have the opportunity to experience works on their own without the interference of other works? And what conditions need to be arranged so that works can be experienced the way the artists have originally intended? What happens to the experience of a work when we let our guard down, and forget about a particular barrier or requirement? For example, say we install a sound work in a gallery on speakers instead of headphones, and despite our best efforts, we can hear the sound throughout the whole show. Every time someone looks at a painting, they are also listening to the sound work. How does this affect the way we respond to both works? The experience of more than one work at the same time can be defined as an “intersection”. 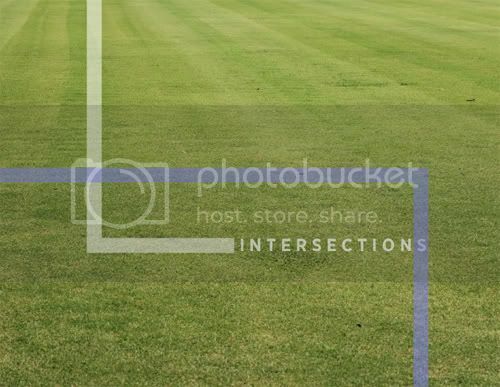 Intersections, curated by Adrian Clement, involves firstly for the curator to install individual works, creating many different points and levels of “intersections” in the process. Subsequently, site-specific artists are invited to install works to respond to and “intersect” the way in which the show has been installed as well as the curator’s vision. The opening is on Thursday, November 18 (from 6 – 9pm) at At The Vanishing Point. The address is 565 King St, Newtown. The show runs from 18 November – 5 December, I’d love for you to come along and check it out. “Abstract/Object is an examination of the object status of the artwork. By placing in the gallery space, the furniture, possessions, and other domestic objects of the curator, and then installing works of art in the space that this creates: Abstract/Object asks the question, what is so special about the art object, and how dependent is its value on the context in which it is displayed? Throughout its history, modern art criticism has questioned the context in which art is placed and displayed. From a very broad perspective one might suggest that nowhere on this earth is there a space that does not somehow degrade, corrode, or diminish the artwork that it contains. On the one hand there is the home of the collector, into which the artwork enters only through its conversion into a kind of trophy or decoration through the process of its purchase. On the other hand, the gallery space is perceived as a sterile, negative space, scrubbed of any reference to, or residue of, the outside world, even to the point of denying the bodily presence of the viewer. The opening is on Thursday, July 15 (from 6 – 9pm) at At The Vanishing Point. The address is 565 King St, Newtown. 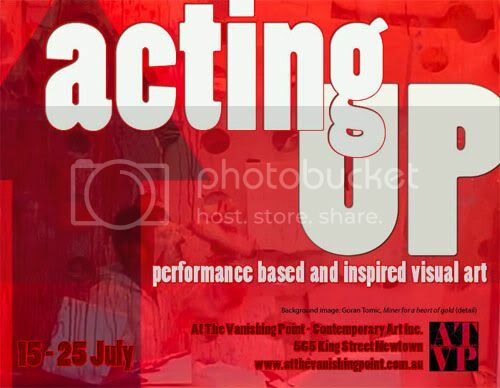 The show runs from 15 – 25 July, I’d love for you to come along and check it out. “Growing out of the avant-garde and conceptual art of the 1960s, performance in visual art – performance art – now more-than-ever is being utilised by artists in communicating and developing their ideas across a number of mediums, platforms and places. Performance based and inspired visual art stretches across the gamut of emotions, sensations and affect. From the intimate, to the gestural, the manic to the meditative, it can take place anywhere, anytime – lasting seconds, minutes, hours, days, months, and sometimes even years. From the artist as performer, to the audience as performer, performance based and performance inspired contemporary visual art often challenges audiences to think in new and unconventional ways about art, self, culture and the world around them.